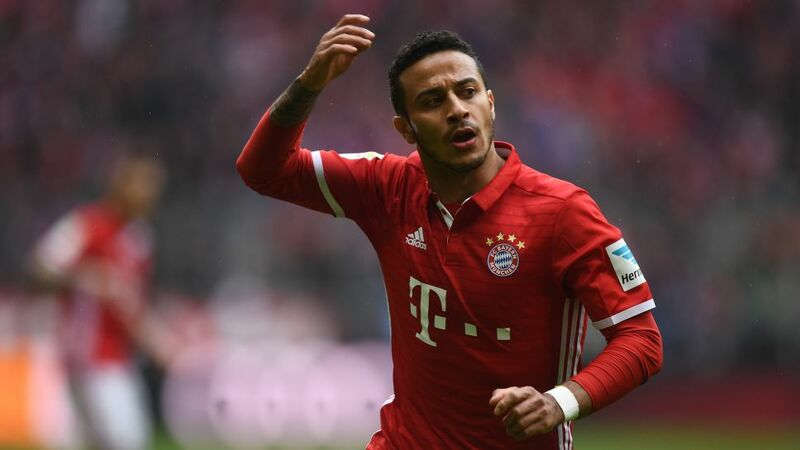 Thiago Alcantara has left Bayern Munich's pre-season tour of China and returned to Europe after suffering a leg injury. The Spain international took a blow to his left calf, and missed Wednesday's defeat to Arsenal. As he cannot participate in training or the upcoming Bundesliga World Tour friendlies against AC Milan, Chelsea and Inter Milan, it was decided he should head back to Germany ahead of his team-mates. "Together with the player and the medical team, we have decided Thiago will undertake an individual training programe at the Säbener Straße," coach Carlo Ancelotti explained. Despite the problem, the former Barcelona midfielder is still expected to be fit to contest the Audi Cup on 1 and 2 August at the Allianz Arena.